Apply now and collect Tesco Clubcard points. 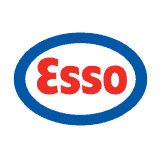 Save up to 10p per litre with Esso fuel cards! Your business can save up to 10p per litre when using Esso fuel cards, and now that over 900 Esso service stations accept Tesco Clubcards, you can fill up your Clubcard with points when you fill up your tanks with discount fuel! Please fill in this simple form to download our information pack, which gives you full details for the Esso Commercial fuel card and the application form.